Edmund Slade Swindell, Jr., served as Durham county manager for 30 years, during a time of evolving racial dynamics and increasingly sophisticated county demands. His major accomplishment of the 1950s was implementing land-use and zoning regulations despite vehement opposition. In the 1960s Durham became the first county in the state to own and operate a sewage treatment plant, which supported the growth of the expanding Research Triangle Park. Perhaps Swindell’s most notable contribution was the opening of the new, integrated Durham County General Hospital in 1976, after over a decade of study, turf battles, and wrangling. The public library became a county responsibility and, after the defeat of two bond issues, a third finally passed in 1976 and a new, sorely needed library facility opened in 1980. Fire protection improved to the point that in the early 1980s Durham achieved the highest fire protection performance rating of any county in North Carolina. 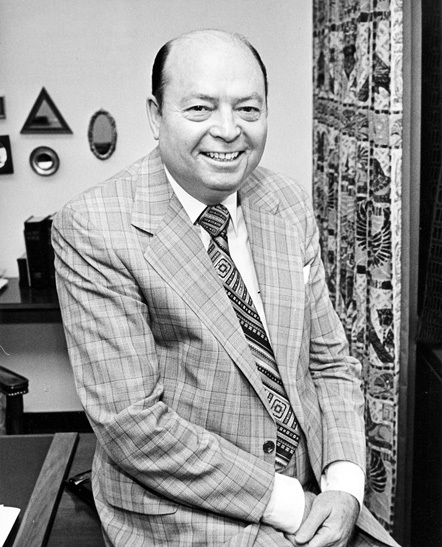 Swindell was replaced by Jack Bond, Durham County’s first African-American manager, in 1985.